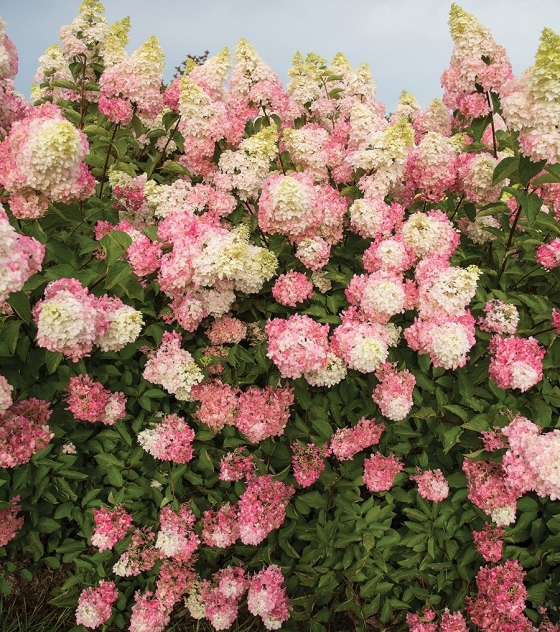 Hydrangea paniculata ‘Renba’ | J.C. Bakker & Sons Ltd.
A summer stunner with strong, upright stems and large cone-shaped flower panicles that stay upright. 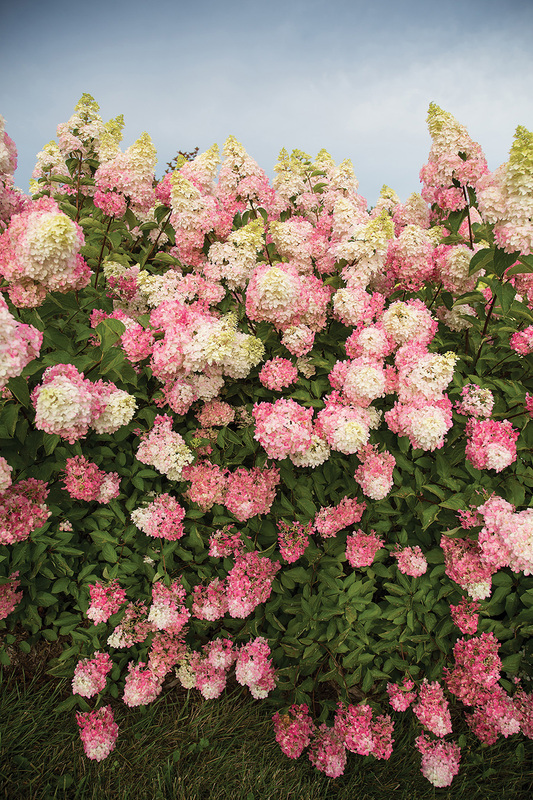 Flower colour starts out white in July then progresses to dark pink. 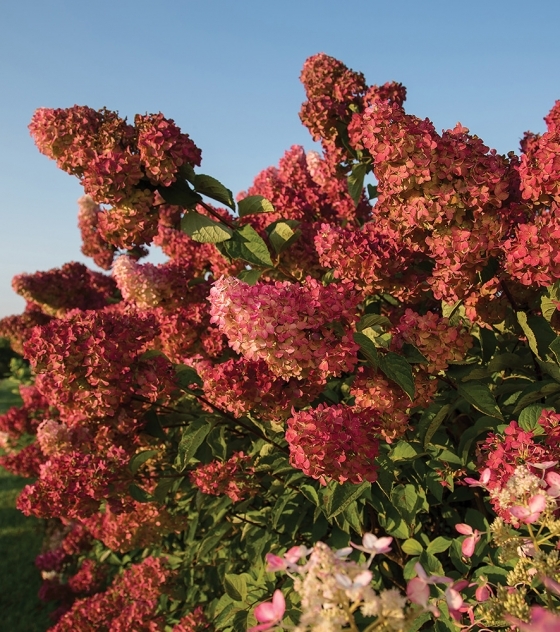 Colouring occurs from the bottom and progresses to the top of the panicle. SKU: 32330302. Categories: First Editions, Shrubs. Tags: Berry White, First Editions, Hydrangea.